My question to all of my readers is this, who here uses plastic baggies for sandwiches/snacks? Howabout when/if you pack your lunch for work and the kids lunches for school? What types of products do you load up in the lunch pack? Well, there are so many edible products out there that the packaging either goes into the trash after eating or other products that people easily toss into a sandwich baggie which is then also thrown away after it is used! This makes me sad to see when I know I can simply use reusable containers for my children's and my own lunches. 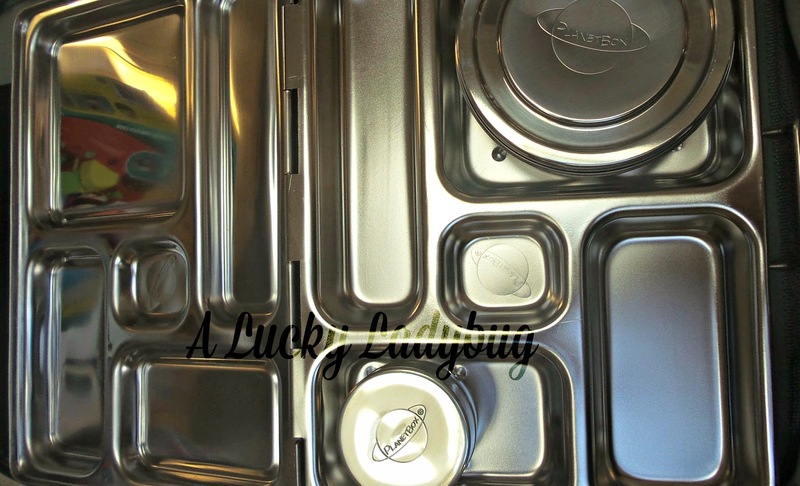 I was lucky enough to recently get in contact with PlanetBox which agreed to send me over one of their Rover Lunch Boxes to review. My family very rarely uses paper/plastic anything because I honestly won't let them. I love that I can make things like a pudding or jello and keep it one of the containers so I don't have to buy the prepackaged stuff which just ends up in the trash at the end of the day. Same goes for condiments as there is a perfectly sized container for this as well! Not only is this a another great way to reduce your families waste but it keeps lunches nice a neat with out squished sandwiches or bruised fruit! It holds "nearly 4.5 cups of food" in it's easily organized containers which can hold a variety of foods without concern for spills. 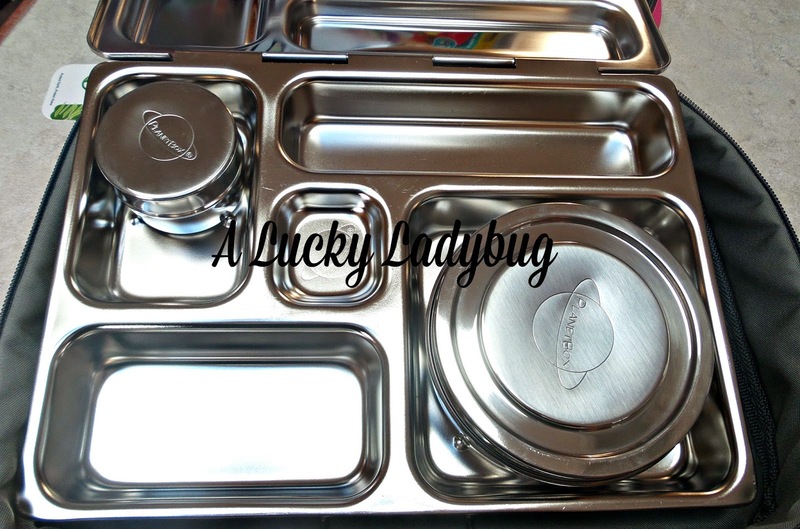 Granted this came in pink so it is unlikely that either of the boys will use it but I've still got Alana who is planning on using this for the coming school year for her lunches! 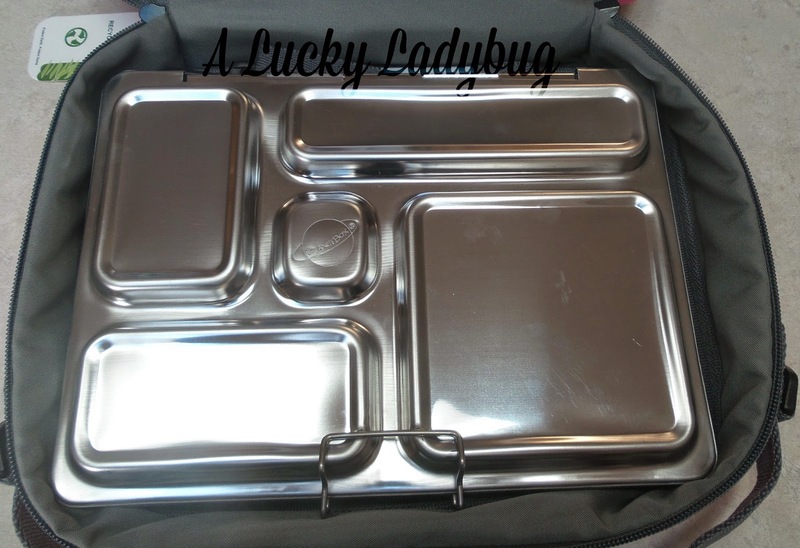 Recommendation: I definitely recommend checking out all the lunch box options they have. I do think this is a little expensive for something like this and would like to see it at about $20 especially to encourage others to use this in the same way someone like myself does. 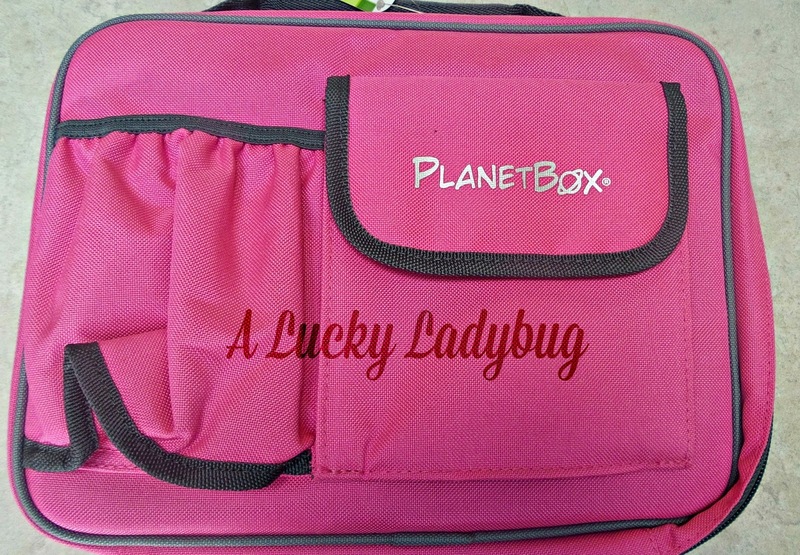 Giveaway: Planet Box is going to give one of A Lucky Ladybug's lucky readers a Rover Complete Sets to have of their own! This is part of the "School Spirit" M.O.O.N. Giveaway Event held from 8/13-8/27! My son is 7 and he goes to a public school. He is now entering 2nd grade.